When it comes to buying a vehicle, most people seem to understand the process and their questions are centered on how much will monthly payments will be, total purchase price and what comes with the vehicle (for example, like a warranty). However, when it comes to leasing, that’s where we get asked the most questions. In last week’s blog, we covered some basic information on leasing a vehicle including how we determine the monthly payment and if there are restrictions on driving a “borrowed” vehicle. This week we wanted to focus on what to do if your lease is coming to an end. You have several options and Hoselton can help you with each one! If I leased my car at another dealership, can I turn it in to Hoselton? Yes! We get asked this question a lot. You do not have to bring your vehicle back to the dealership where you leased it from. That’s a common misconception! My lease is almost up but I don’t want to wait to get a new vehicle. What can I do? There are many variables here so without knowing your exact situation, we can’t give a finite answer. Typically, if your lease ends in the next 90 days, we will be able to get you into a new vehicle without too much hassle. Can I turn my lease in early? You can but depending on how much time has elapsed, you will likely be responsible for remaining payments and any fees as outline in your original agreement. My lease is up. What’s next? The most popular end of lease option is to lease a new vehicle. With great lease loyalty programs, you can get into a brand-new vehicle for the same or even lower payment than you had before! Another popular option is to purchase a new vehicle. 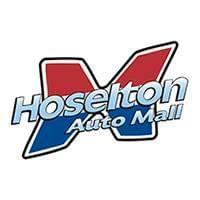 We have huge selection of new vehicles in inventory on the Hoselton Auto Mall complex. Shop over 3,000 vehicles including new Toyota, Chevy and Nissan models! If you absolutely love the vehicle you’re in right now, then purchasing your current lease is a good option for you. We will handle the DMV and sales tax collection for you! The last option is to turn in your leased vehicle. We will help you with a pre-inspection and taking in your vehicle at the end of your lease. Learn more what you need to do if you think this is the option for you.